It goes without saying that everything surrounding us represented with different meanings, and correlate with other things in our life. 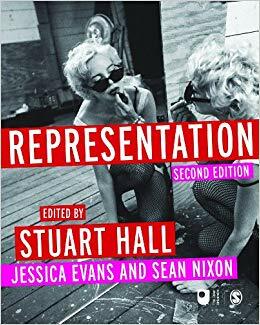 The book, Representation, from the chapter 1, the representation is related to culture and language, which is a part of making the process that expresses meanings through words, the process has divided two systems. The first system has attached all sorts of knowledge, which we already learned or know from our culture. Due to environmental changes, make us have many different lifestyles, and become part of our culture, which is organised and memorised in our mind, then turn into our concept map. Therefore, we could quickly think about something related to that necessary information to define or remarked the object when we see at first time without thinking for a moment. Moreover, the concept maps also affect our exploring angle when we look at the objects, which easily define in various meanings relate the object at the first impression. The second system is language, which involved in the entire process of meanings. To communicate with other people, the implications can be interpreted into the language through our mind, so that we can share our thoughts or ideas. Besides, communications can also show in different functions, including written words, spoken sounds or images, which could transmit meaningfully and complex ideas to others. According to chapter 1 in 1.5, the article use traffic lights as the example, demonstrate how we recognise the meaning or messages by colours. For example, when people see the red light, they would stop, and then start to move on when green light shows up. Therefore, colours have become part of our common language to remind us something important in our daily life. Based on the description, those two systems are connected to represent different items. It can be found the example from the painting, which made by Spanish painter, Juan Sanchez (1521-1627) in chapter 1, p29. The art represents the language of specific meanings to reflect four different objects in the picture, and demonstrate how people reference the ideas when they saw the objects in the paintings, the visual sign would reach into the concept map in our mind and search the relative to associated the item with languages. In some perspective, representation also related to animation that the animation film would turn into the visual sign as the language. Audiences would reflect by the visual sign when they watch the film, which the story evokes resonate the viewers. Furthermore, the words not only mention the item from the real world but also reference the abstract mindsets or imaginary things that do not exist in reality. It’s very common that the story of the film references various meanings with some fictional characters or creatures, which do not exist from real society but present the connotations in the animation films or movies.